Deborah Sandidge: Expand your creativity, shoot infrared! Expand your creativity, shoot infrared! Our visual experience is limited to the world in color. Just beyond what our eyes can see is the incredible world of infrared. Light in this range can be recorded by a digital camera with the use of an infrared filter or infrared converted camera. 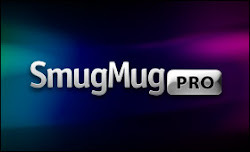 It gives you a whole new way to take pictures, broadening your photographic horizons! Years ago, I started out by using an infrared filter on the lens of my camera. This required setting up the camera on a tripod, composing the scene, attaching the filter to the lens for each shot. The filter is too dark to see through once mounted on the lens. Having a digital camera converted to infrared allows you to take pictures just like a "color" camera. The really great thing about photographing in infrared is that you have several filter choices. 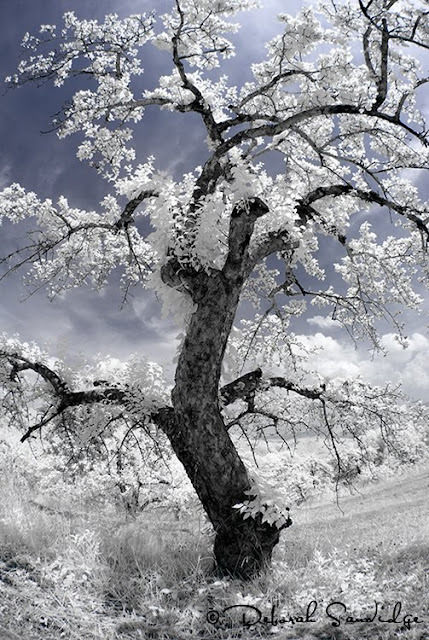 You can create beautiful traditional black and white infrared images or photos in infrared with a little color like the dancing apple tree above. Summer is the perfect time for infrared photography! Want to have fun and learn more? Please join me for my online course, Digital Infrared Photography at BetterPhoto.com starting Wednesday, June 9th. Hope to see you there!